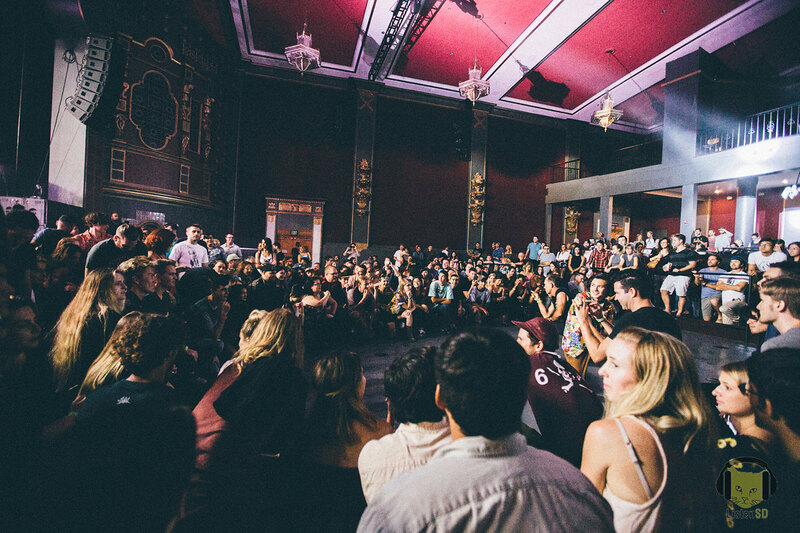 We found a close parking spot and crossed to the Observatory, passed the gender specific entry lines that reminds one of high school dances, and I remembered this is an all-ages show, before obtaining our tickets at will call and passing through security to enter the temple-like theater-turned-music venue. 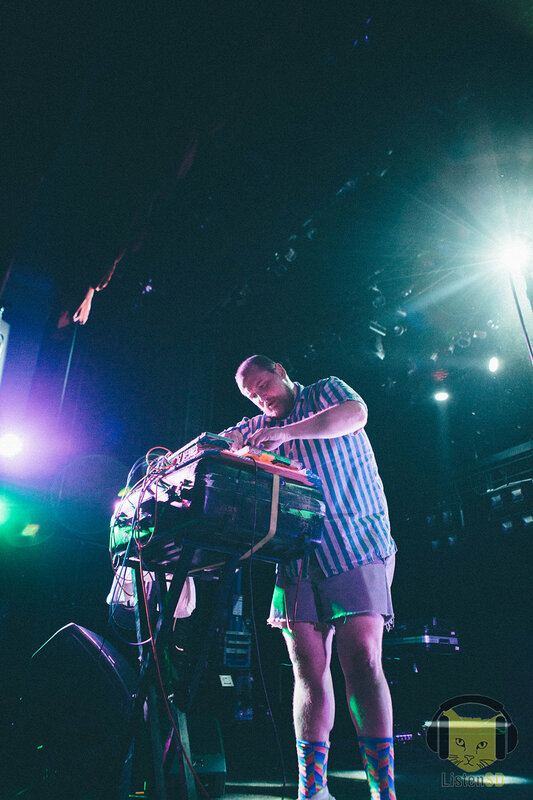 I passed the merch table, manned by the first Dan Deacon look alike of the night, and we found the restrooms in neighboring West Coast Tavern. 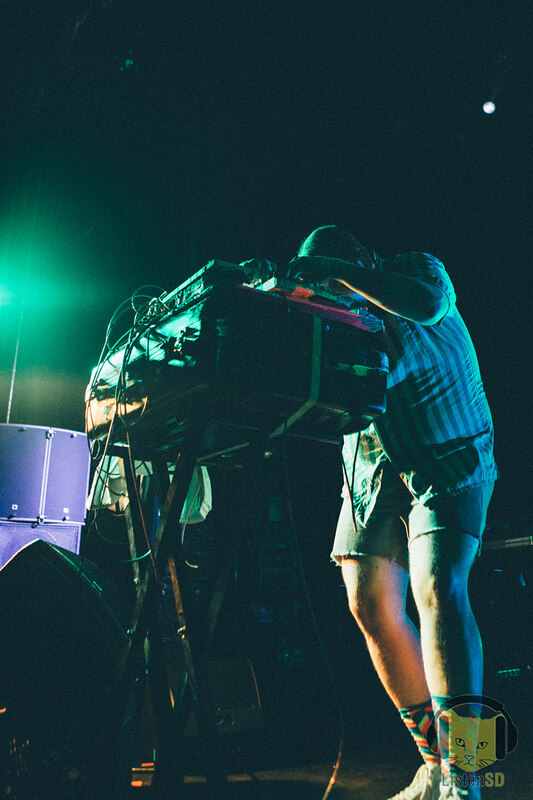 Then we ordered drinks too late and drank them too fast while the stage lights dimmed and the crowd cheered. 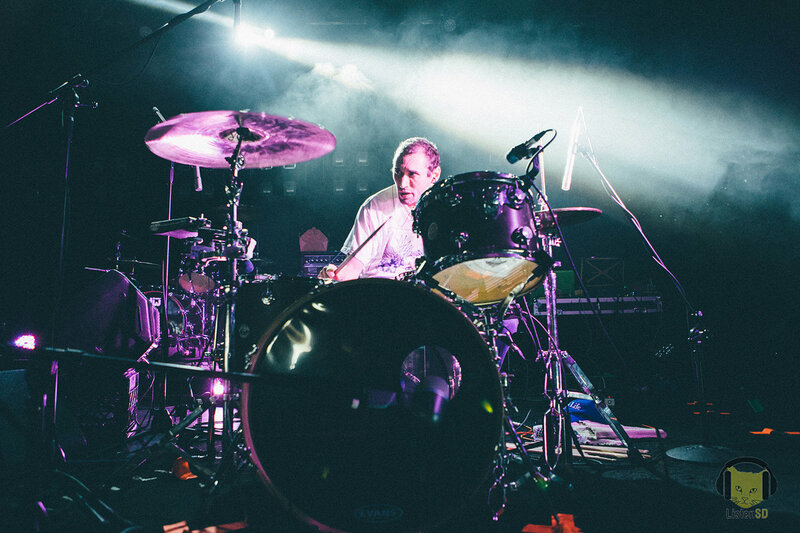 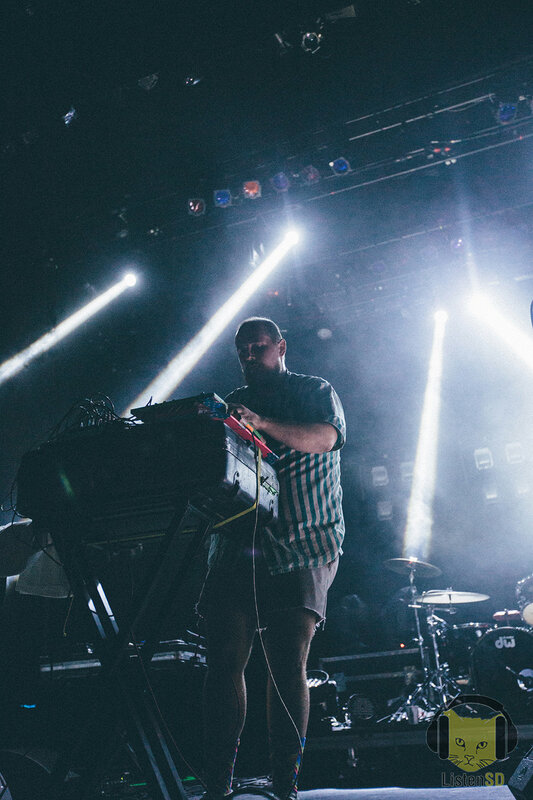 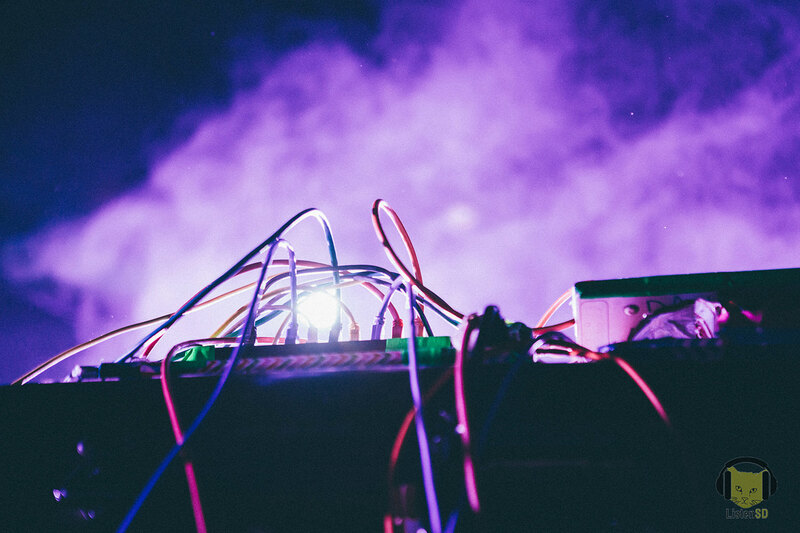 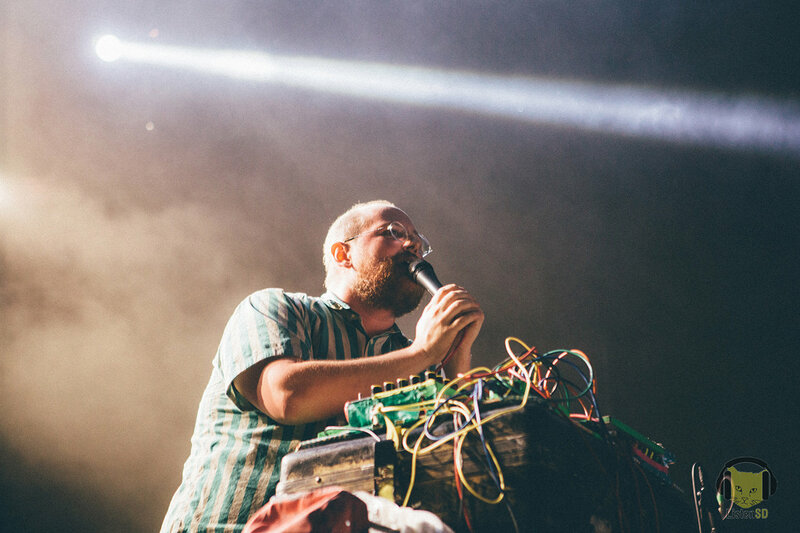 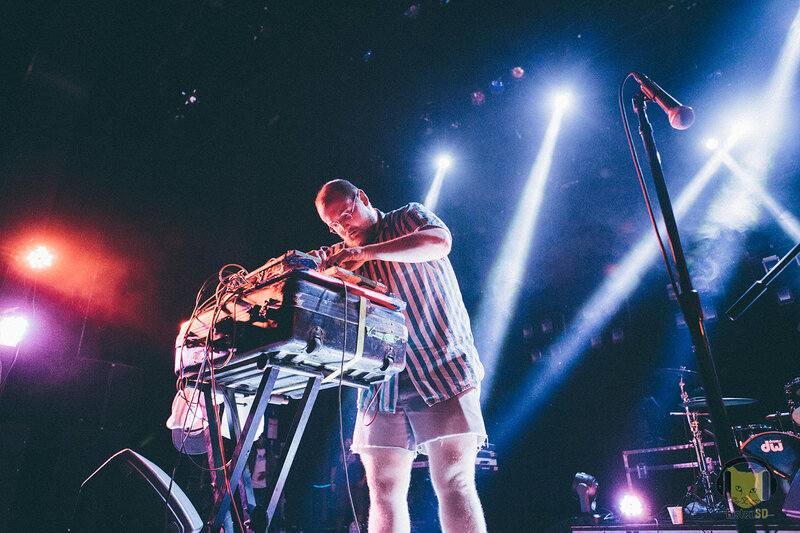 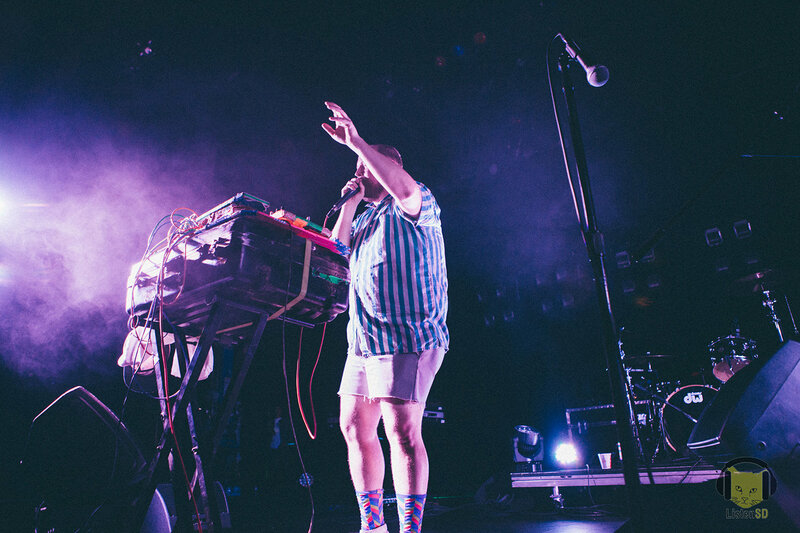 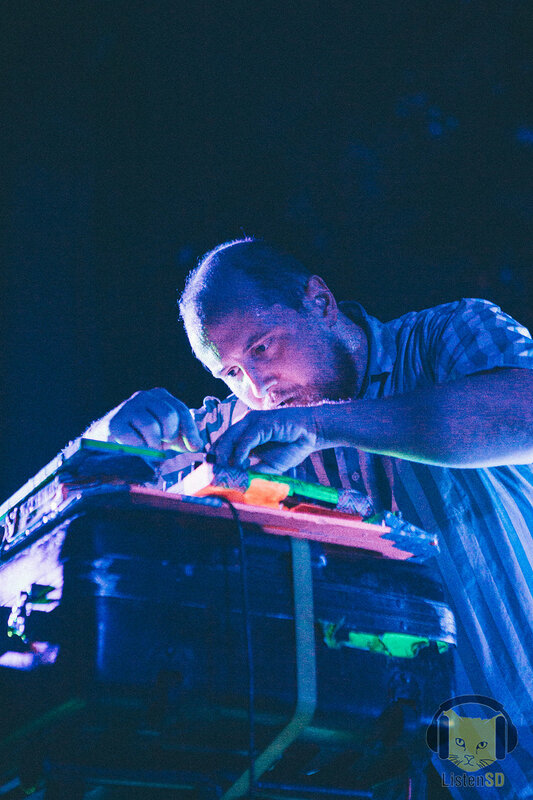 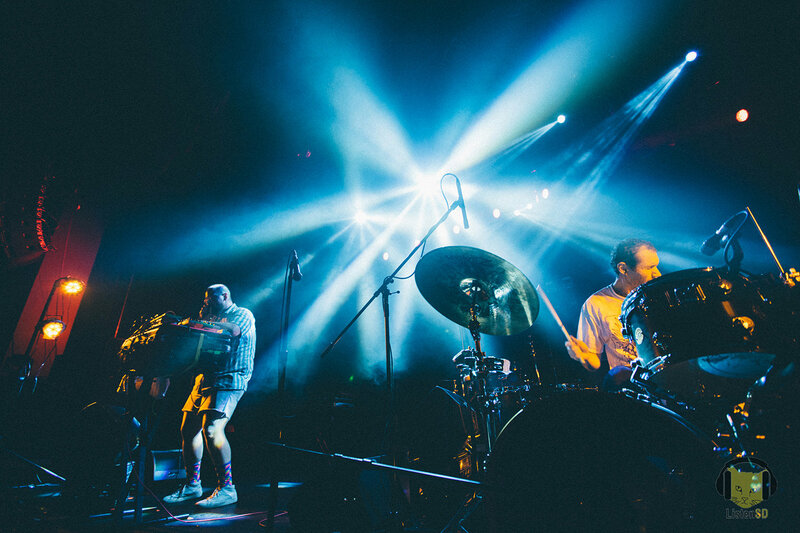 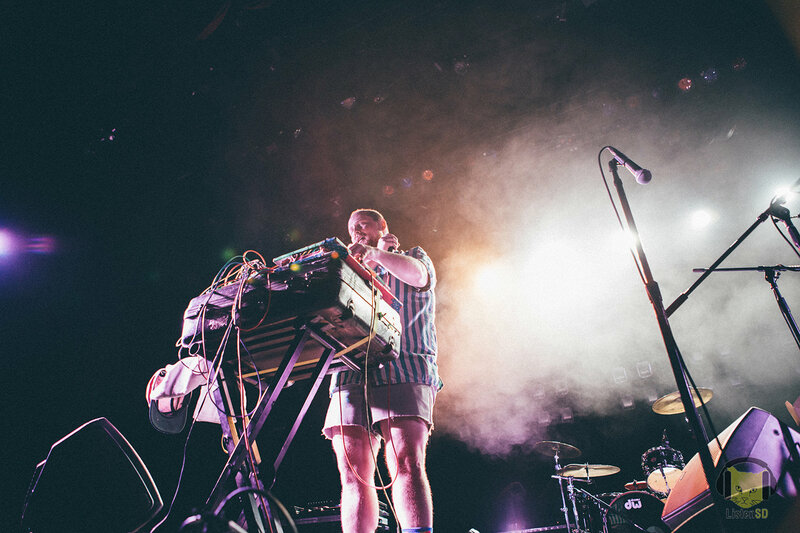 Dan Deacon walked onstage with his touring drummer, former Ponytail member Jeremy Hyman. 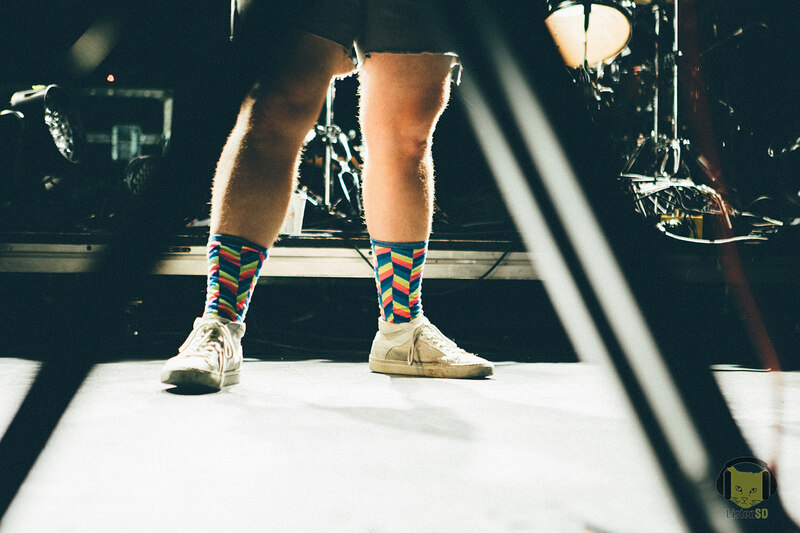 The crowd applauded respectfully (I assumed most were here to see Future Islands). 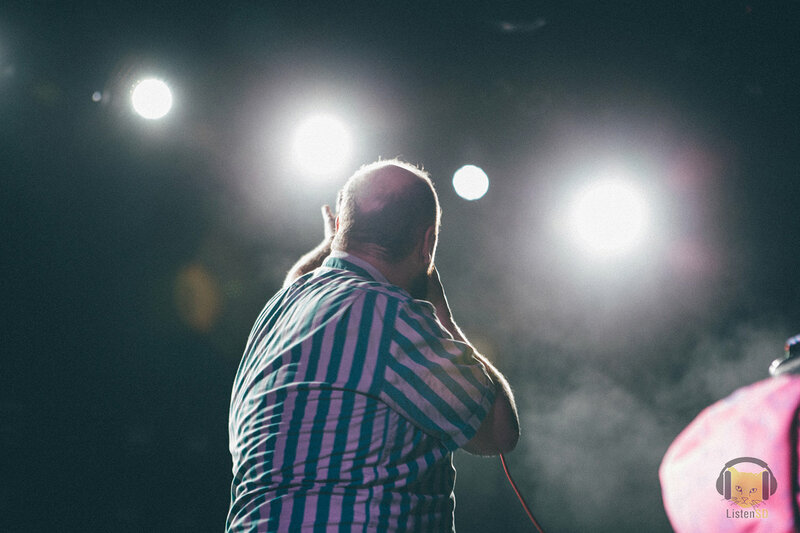 Deacon led the crown in a requisite pre-show anxiety visualization exercise that involved pointing and breathing and blowing your anxiety at whoever meets your eyes across the pit. 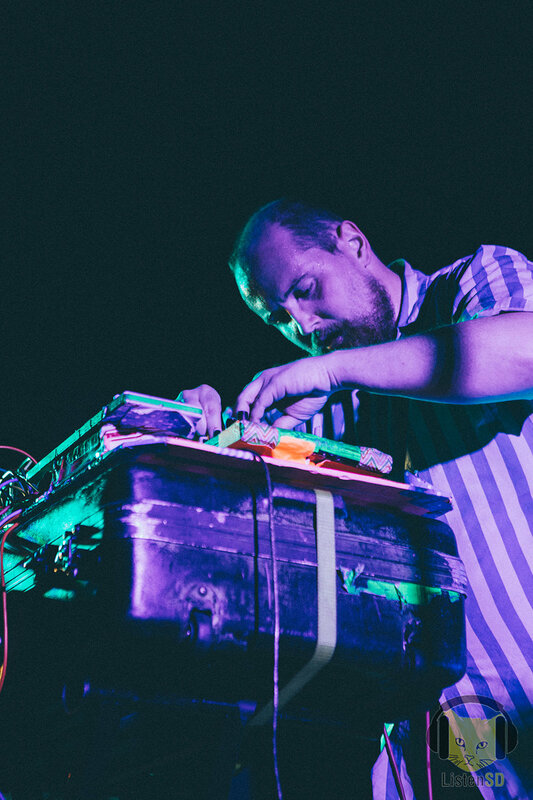 Then he and Hyman launched into “Sheathed Wings“, a frantic, ecstatic, adventure anthem off Deacon’s 2015 release Gliss Riffer. 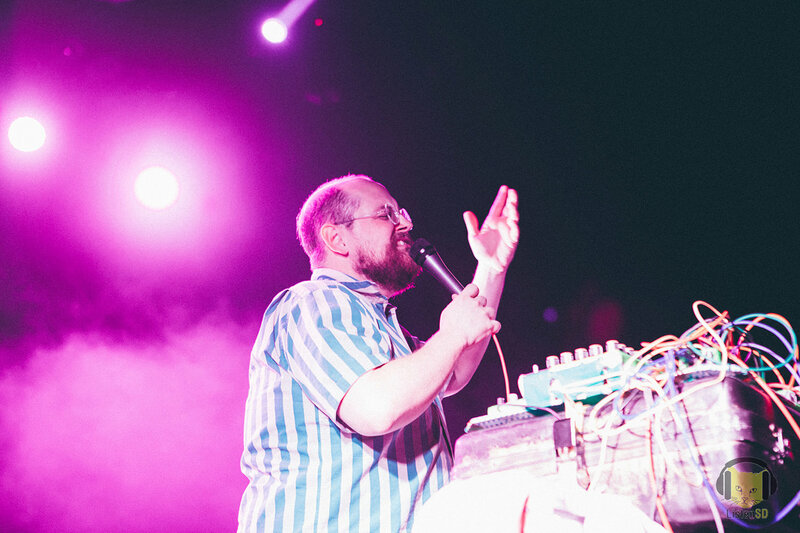 The crowd warmed up and by the end all were ready for remaining group activities that come with a Dan Deacon show. 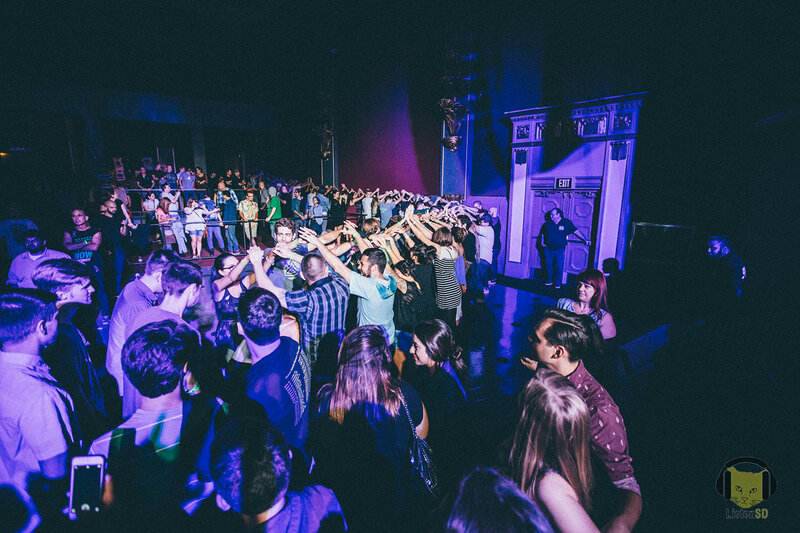 Following activities included a huge dance circle to Gliss Riffer’s “Learning to Relax”, a human tunnel with track “Wham City”, and a bi-hemishphered human dancing brain as split crowd set to the tune of “When I was Done Dying”, which concluded with a recreation of Lamb of God’s infamous Wall of Death, high-fives and hat-loss substituted for punches and self-hatred. 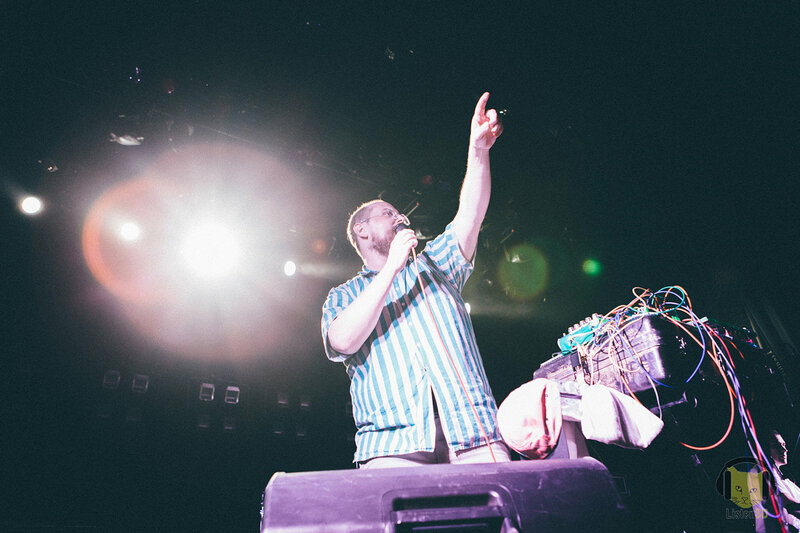 Deacon ended the set with hit “Feel the Lightning”, I found my hat in the crowd, and all cheered loudly at their new favorite live act, Dan Deacon.